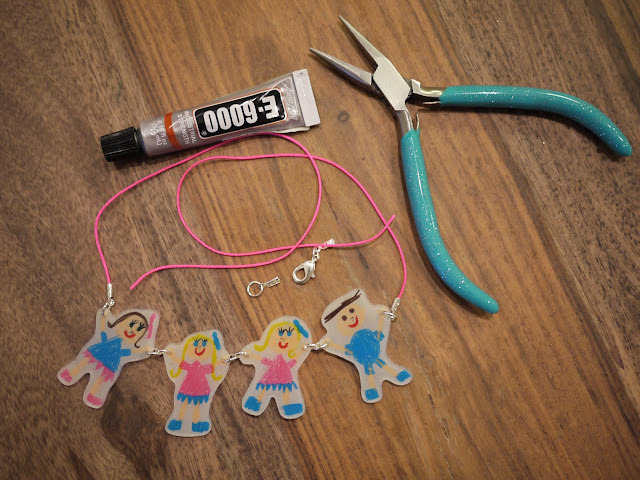 Remember that little Shrinky Dink family I posted about yesterday? Well, they're now holding hands and adorning Ava as a necklace. 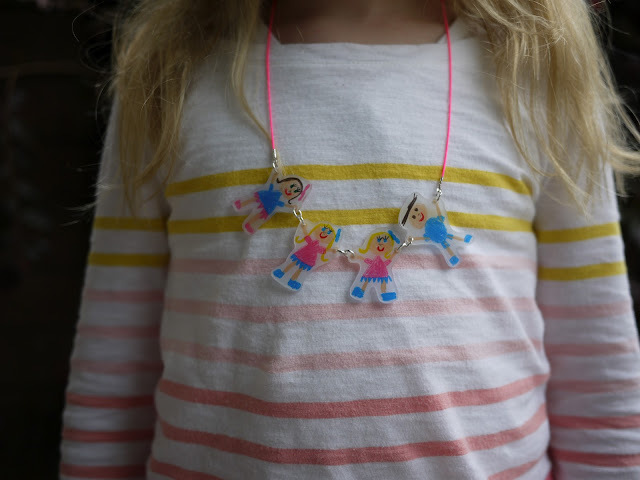 With a few simple materials and tools, plus a little patience, I transformed Ava's Shrinky Dinks into her new favourite necklace. 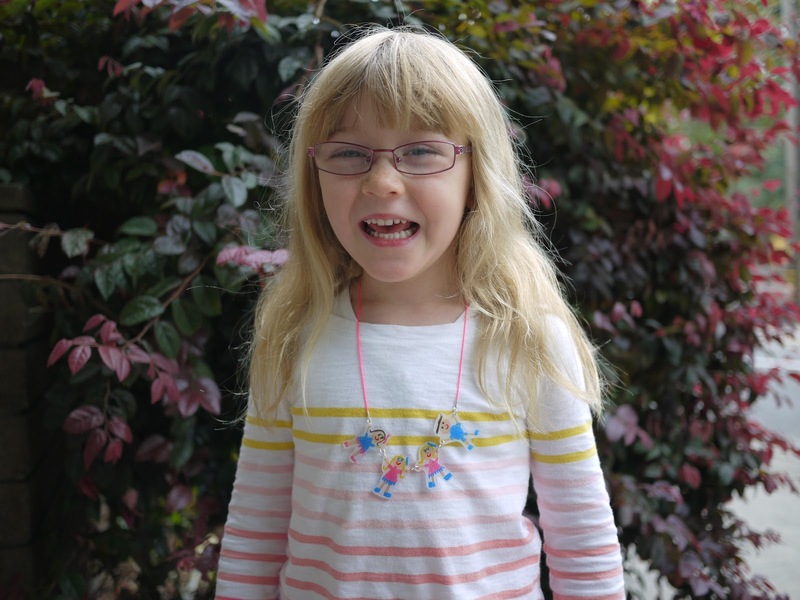 I used jump rings to connect the family members together in the order that Ava specified: Mummy, Ava, Lola and Daddy. I then used crimped connectors on Mummy & Daddy's outer hands to connect the thread. Before crimping the connector tightly over the thread with needle nose pliers, I added a little drop of glue to hold it extra secure. The crimped connectors were used again at the ends of the thread to connect the two sides of the clasp. I liked the idea of using a bright coloured thread to make Ava's necklace. I found this neon pink thread at Baubles and Beads, a local beading store here in Berkeley and the colour was just perfect. Ava absolutely loves pink so there was no argument from her about my choice of thread! Wear it to pre-school and show it off to everyone!